The first thing people look to when it comes to seeing how far they have progressed in their workout routines is the weight scale. Your weight is a quantifiable way to track the results from your workout, you can actually see the results in real time. 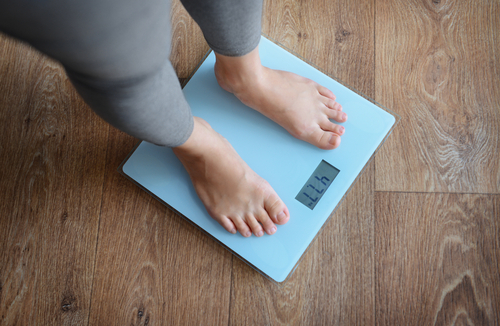 Using the weight scale to give yourself a general idea of where you stand is a good idea, however many people just become overly obsessed with weighting themselves. Don’t become fixated on the weight scale, there are other effective ways in which you can track your progress. The idea of keeping a permanent record of how you looked before you workout might seem like torture to some people, but knowing how you progressed is important. You don’t have to take a photo every day but should do so about once a week or every other week. You don’t need to do so more than that because your body weight is going to fluctuate from day to day and you may look slightly more bloated one day to the next when in reality you aren’t gaining or losing too much weight outside of water weight gained and lost. Remember, you see yourself in the mirror every day so you don’t really realize the subtle difference from day to day, and it is easy to quickly forget how we once looked. Pictures are a great reference point, especially on those days were you take a look at yourself and feel like you are making no progress. Looking back on a picture taken 3 months ago should give you all the motivation that you need to keep going. Remember when you are taking picture you are striving for consistency. Try to take the picture in the same room, with the same lighting and even wear the same clothes as possible. The more consistent your pictures are the more accurately you can track your progression. Another great indicator of how far you’ve progressed is your ability to lift weight, and how much. When it comes to weight loss, everyone both male and female should incorporate weight training in to their routine. Weight training not only helps to build muscle, it burns fat in the process as well. This additional muscle you add on requires more calories to function, burning even more calories as a result. When you first start your training, you want to take some benchmarks to give yourself a good idea of where you stand. This means doing exercises at your max capacity, lifting as much weight as possible. You want to do this for exercises like the squat, dead lift, bench press and other combination exercises that use multiple muscle groups. Doing these exercises will give you a better idea of your overrall strength as opposed to an exercise like curls. Doing this when you first start your workout routine is what you want to do so that you can get a good idea of how strong or weak you are. It gives you a good baseline to start from, and gives you a general idea of how far you can progress as well. 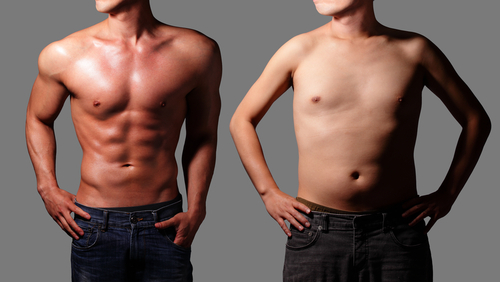 If you are obsessed with weighing yourself you might as well try measuring your body fat as a better alternative. There are plenty of ways in which you can do this, and there are even weight scales designed for home use which can measure body fat, muscle mass and bone mass as well. This is a much better tool than a weight scale because it more accurately breaks down your tissue composition which can help you better modify you routine to meet your goals. This is one major reason why the old fashioned BMI system used to detect obesity is so outdated and routinely misdiagnoses people. This is something you need to be aware of especially if you plan on strength training and building muscle. Muscle weighs more than fat truth be told. So if you are a 5’10” male for example who weighs 200 lbs just on paper you may look healthier than someone of similar height who weight 20lbs heavier. The problem with this is that the heavier person could still have a lower fat percentage than the lighter person even though there is a 20lb difference in weight. Weight alone isn’t the best indicator of one’s overall health.